For those of you who are mainly followers of the wacky musings on this blog and not my more conventional fare, it may interest you to know I actually earn a living as a professional journalist, too. And occasionally, I get paid to do things that are loads of fun–like write columns about road trips. 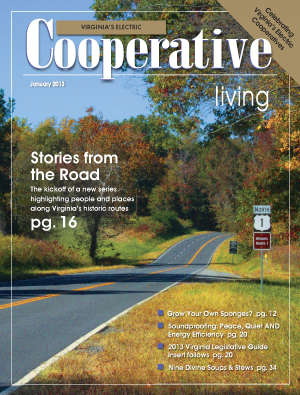 If travel floats your boat and, like me, you’re more interested in local color than necessarily hitting all the high points of a particular place, then check out my new “Stories from the Road” series, a monthly column in Cooperative Living magazine that launched this month. 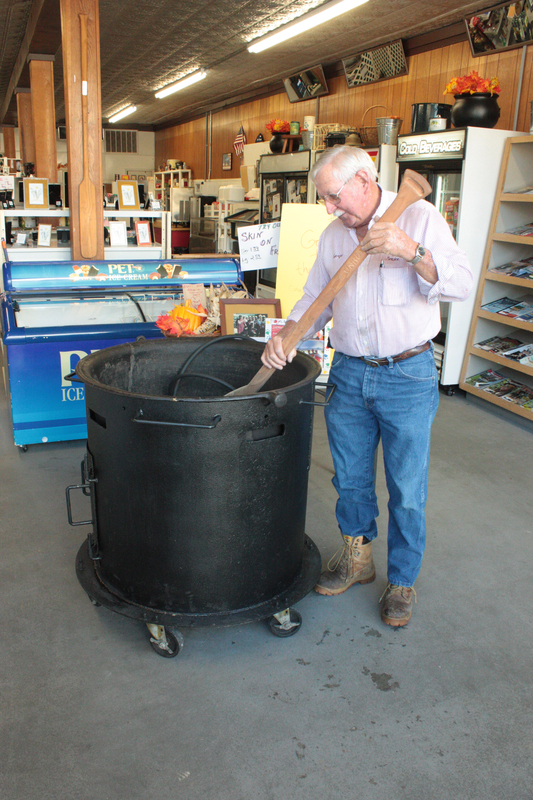 In the January issue, I chat with Brunswick County, Va. stewmaster Col. George Daniel, who dubs himself “the Dale Earnhardt of the stew crews.” That would be the stew crews who participate in the annual Taste of Brunswickheld each October just off old Route 1 near Alberta. “I rag on everybody,” says Daniel, and it’s easy enough to believe. 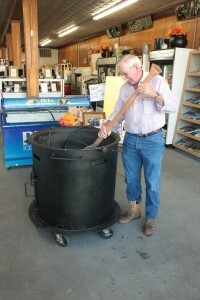 His Red Oak Stew Crew has been champion of the event many years running. If you’d like to taste some Brunswick stew in Brunswick County, head to the Alberta General Store, the centerpiece of a one-dog town where you’ll find the heights and weights of local children recorded on a support post at the back of the cafe. “Uncle” Chuck Johnson is the stewmaster here, and he serves up a mean bowl…though not as good as Daniel’s…at least that’s what Daniel says….